Read This Before You Come Pick Up Your Order. You’ve finally purchased that paint booth or lift for your business. You’ve decided that since you are close enough to Greensboro, North Carolina …. You will just pick up your order to save on shipping costs (plus, you want that extra $50 off that we’ll give you for picking it up.) We love customer pick ups. We’re excited that you want to come visit us to pick up your order. We’re already looking forward to meeting you. But, before you come see us, make sure you have everything you’ll need to pickup your order and get on your way back home in a jiffy. #1: MAKE SURE WE KNOW YOU’RE COMING. You can stop in and see us anytime during regular business hours, but if you are picking up an order, call before you come to allow us to get your equipment order ready for load up. If it’s a paint booth, we’ll need a little more time to verify that the booth will be completed by the date you would like to pick it up. # 2: IDENTIFICATION. Upon arrival make sure that you have a form of identification, and stop at the front desk where our receptionist can verify your order. You’ll need to sign off on our customer pick-up form. #3: PAYMENT. You may pay over the phone or you can plan to pay when you pickup your order. We accept cash, money orders and most major credit cards. #4: SAY HELLO! We always want to put a face with a voice, so make sure that you ask for your sales rep so that we can thank you personally for purchasing from our company. 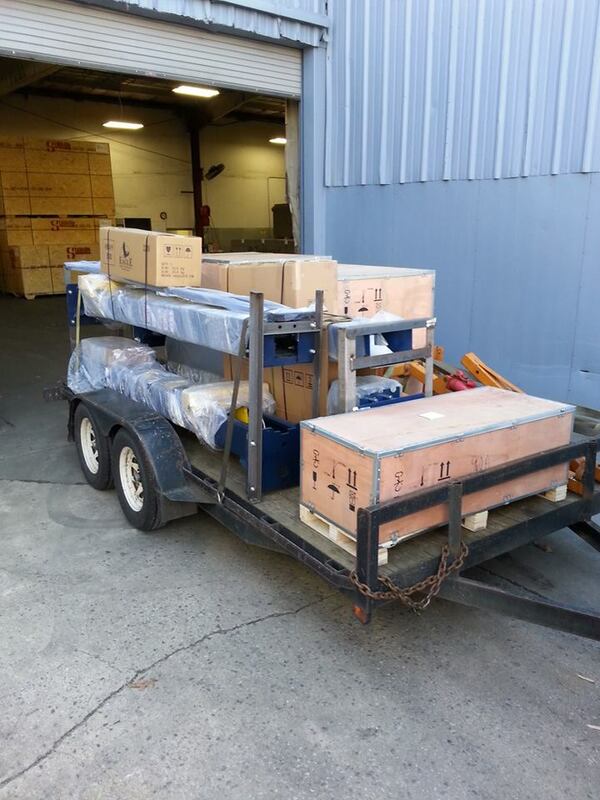 Our Shipping Department Would love to Load it Up for You! #4: LOAD UP! You’ll be given instructions to pull up to our receiving dock where we will load you up. Make sure you bring the correct vehicle and straps to secure the equipment! If you don’t know what you will need, give us a call. If you’re coming to pick up a lift, you will need to bring a trailer with straps to secure the equipment. We will be able to tell you how big the trailer needs to be if you call us first. 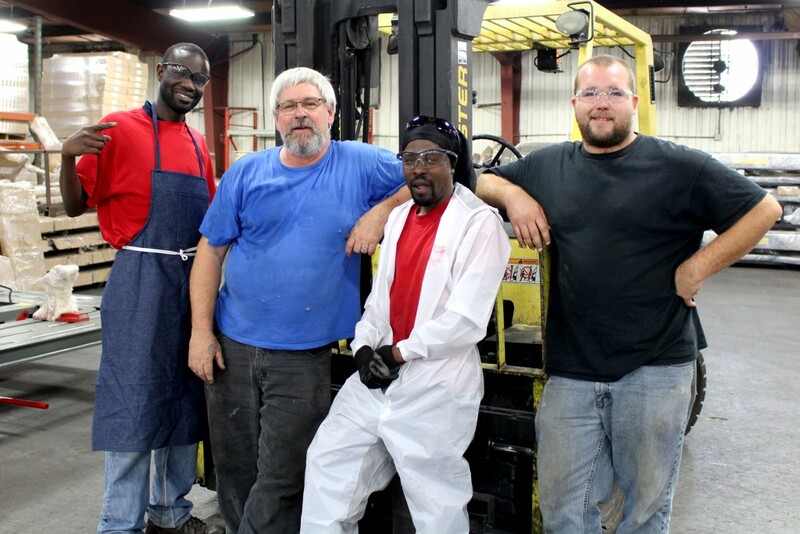 For your safety, our lifts cannot be loaded onto a car, truck or SUV. 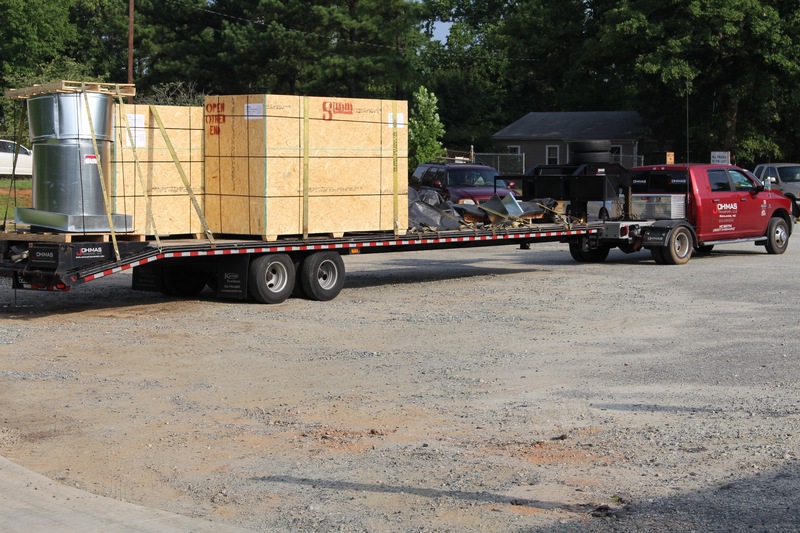 For picking up a paint booth, you will need to make sure you have a trailer, flatbed or box truck that will be able to handle the crate size and hold at least 5,000 lbs. Again, we will be happy to assist you in planning your pickup prior to coming. Drive safe, we can’t wait to see you soon!